Intergalactic Trade. A Daring Escape. Guns for Hire. 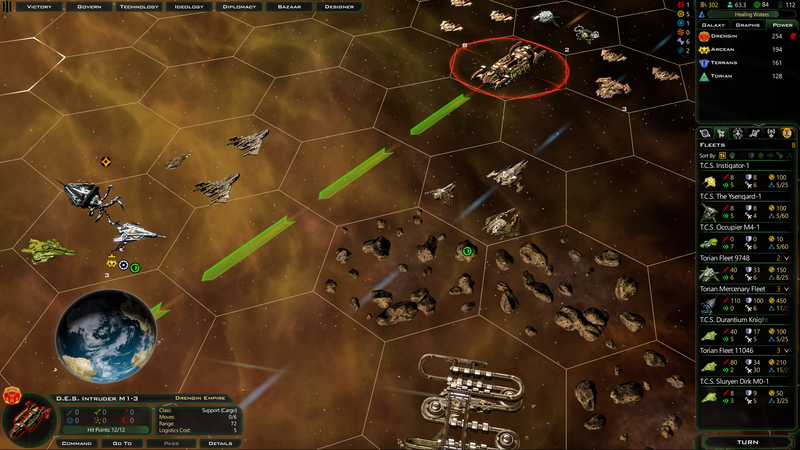 Galactic Civilizations III: Mercenaries Releases on February 18, 2016! 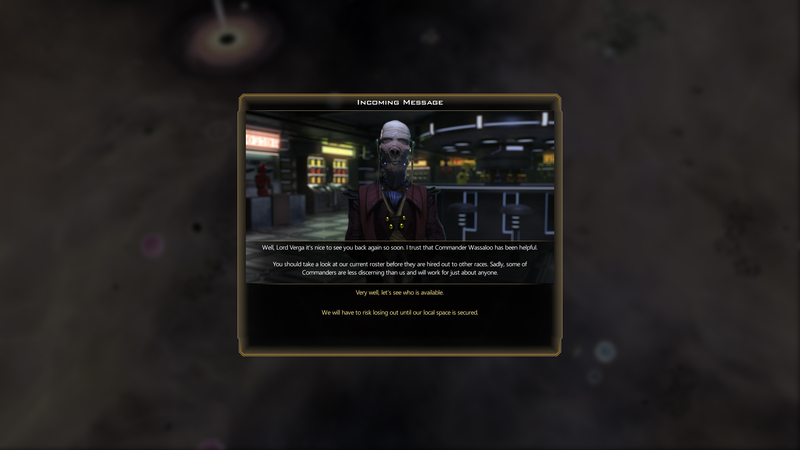 galactic underworld and their elite mercenaries. Convinced already? Of course you are. 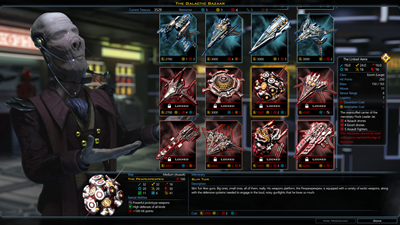 Discover Galactic Bazaars and choose from dozens of mercenaries for hire! Is that anomaly a little too dangerous to risk your own life and limb over? Pick a mercenary suited for the job and order them to do your bidding. Your bones are fragile, after all. Hire mercenaries and use them to help lead the Torians to freedom from their Drengin oppressors in an exciting new campaign. Rebuild your shattered empire from the ground up and thrive in the face of adversity. 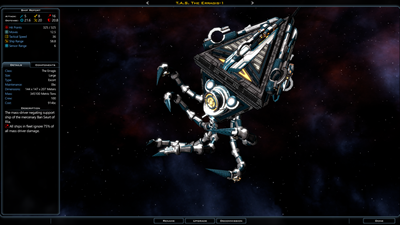 Every mercenary has their own unique ship for traveling across the galaxy in style. 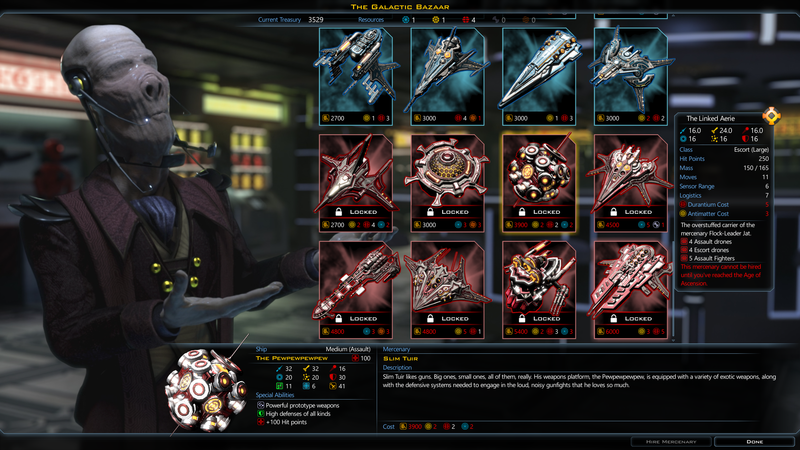 Speaking of style, there are lots of new ship parts to enhance your own customizations and styles! The Arceans, an ancient and honorable civilization of warriors and long-time enemy of the Drengin Empire, make their debut in Mercenaries! The Arceans have new racial traits and abilities and a unique tech tree to boot! The aquatic Torians are back and ready to fight! ...Well, sort of. 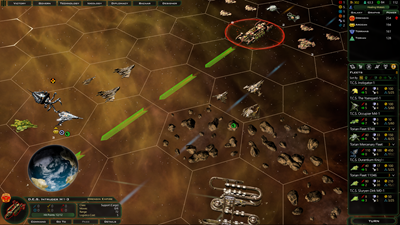 They're ready to hire a bunch of mercenaries to help them escape their enslavement from the cruel Drengin Empire. The Torians are at the center of the Mercenaries campaign and also have new racial traits, abilities, and tech trees for you to explore. 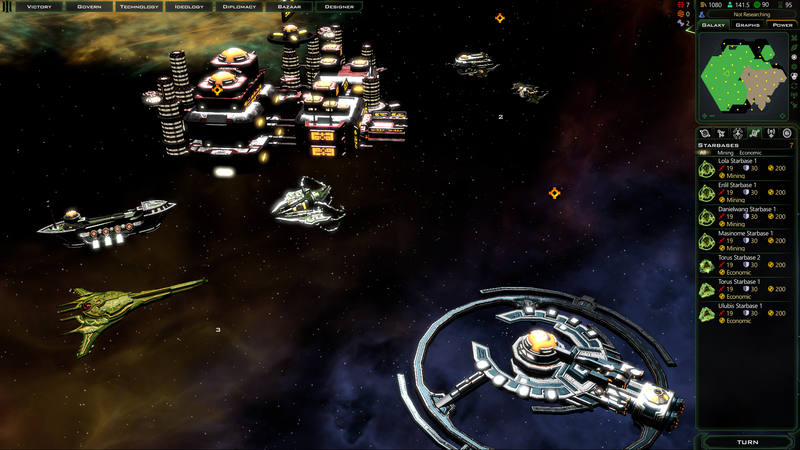 Galactic Civilizations III: Mercenaries will be available for purchase on February 18th. 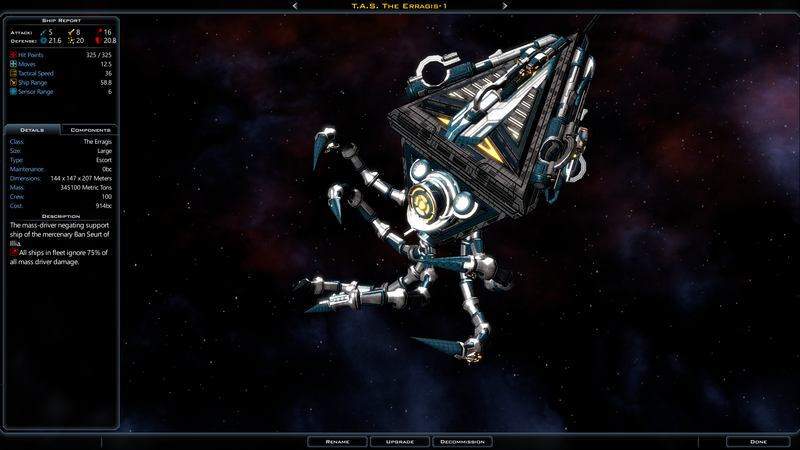 Keep an eye on the forums and over at www.galciv3.com for updates and notice for when you can purchase! EDIT: Just saw Spurks' new thread on the Metaverse Maintenance where he states: "Online services will be unavailable for up to 2 hours starting Tuesday Feb. 2nd at 10:00 AM Eastern. The Metaverse, as well as Match reporting, will be unavailable during this time." Could this be an indication of when we might get our grubby little hands on the Beta DLC? It could be but it isn't. I can relate. 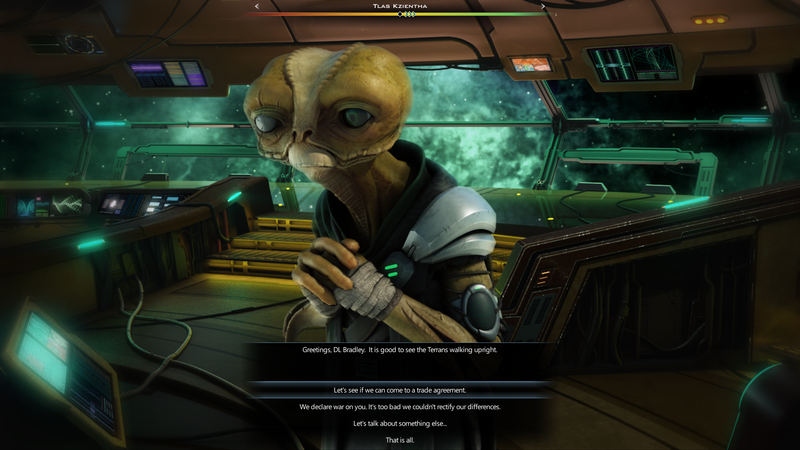 I'm feeling that XCOM2 is going to drag me in like the last one did... It wasn't pretty. Ah ha! So it is due out today!!! Thanks for spilling the beans! Because we all know that Wens. is definitely not "early next week", as it is "hump day," or mid-week, so by process of elimination, that means today! Thanks, Mellified_Man, you made me a happy man. and if anyone believes this to be the case, I've got a lovely bridge fro sale in NY with toll booths and everything! You'll make your money back in a couple of years, no problem. Delaying until thurs would be a tactical error - I feel like the crossover between the xcom and Galciv demographics is probably fairly large! I think we're all eager beavers. I've just found a little thing that I think could be changed. EDIT: Never mind, just noticed that it is now back for some reason without me doing anything at all... Those internet gremlins messing with my impatient mind once again... I bet brad programmed them! I noticed that flipping on and off again too. Sadly by this hour, that's it for the day. No real chance the Stardockians are gonna push out the beta access this late in the day. Us begging pups are just gonna have to pout and whine for treats without getting any today. They did say "next week" and Brad is a relativist, so ... "next week" is always "next week"
I'm actually at Valve today (as I write this). I fly home tomorrow. So early next week. And, again, I point to what I wrote. Next week is /still/ next week, the way tomorrow is still tomorrow, when tomorrow gets here tomorrow is /still/ a day away. "Just one more turn ..."
And so the GalCiv3 Forummers were caught in the Desert of Soon, where they would climb one sand dune of Soon only to find another. And another. And another. And.... They would spend their remaining time on this Earth travelling through an endless, limitness, mind-destroying number of Soons, broken only be the occassional Next Week stonefield that would lead them straight back to a Soon sand dune. Okay guys, stop, you're killing me! Great to see old races coming back and the merc mechanic looks an interesting and unexpected boon. Hope the two races you are adding have their own mechanics and playstyles. I'm only seeing 1.6 where are the Marc.